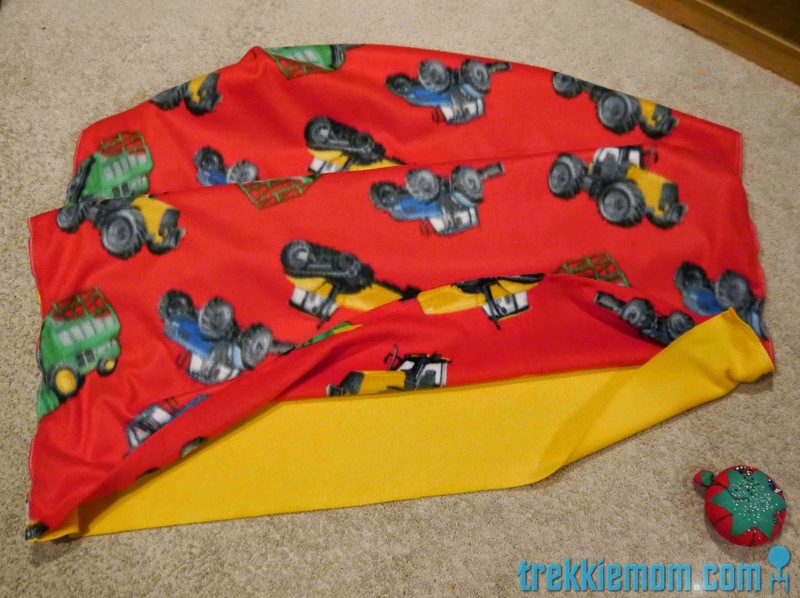 So, while IKEA covers for their toddler duvets are cute, they just didn't fit my son's interests. Cute little elephants just don't compare to trains, tractors, or tilting dumpers. 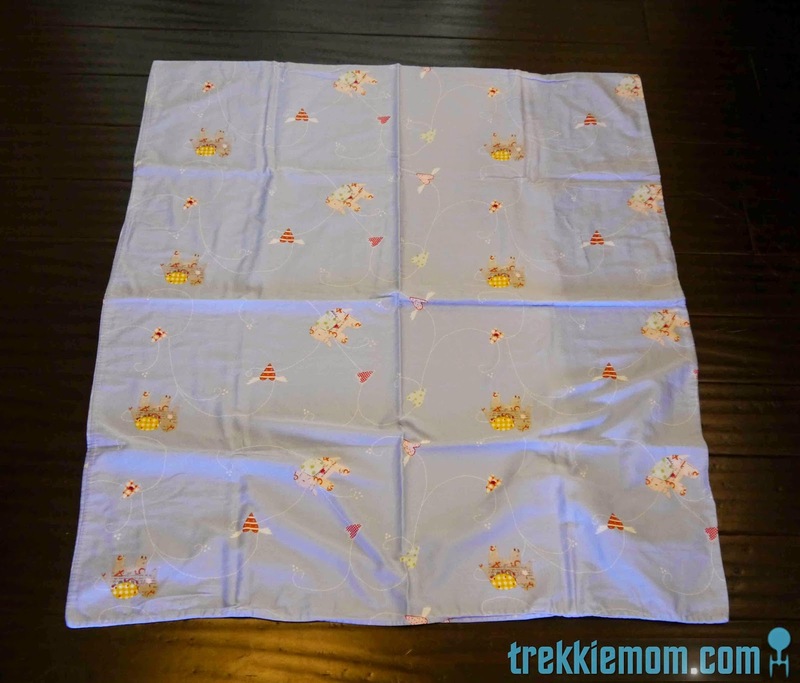 So, when my baby boy became a toddler and needed his own cover, I decided to make one ... of course. 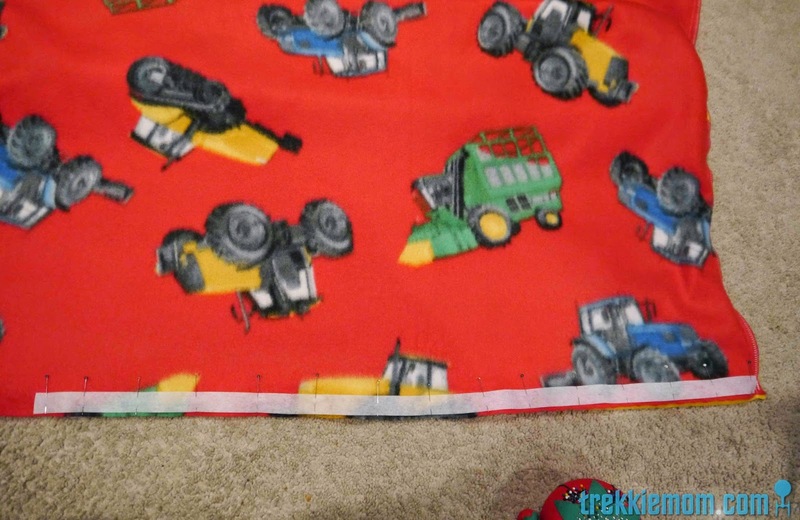 Over the Christmas holidays, I found some cool fleece material with tractors on it to match a clearance Pottery Barn pillowcase that I had bought earlier. 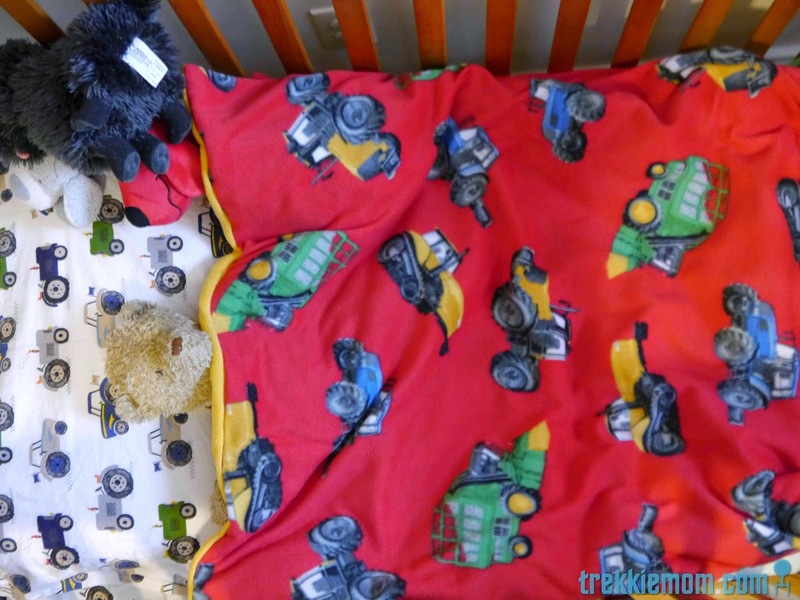 Since the tractors were a bit expensive, I paired it with a solid yellow fleece that matched the yellow in the tractor print for the underside of the duvet cover. 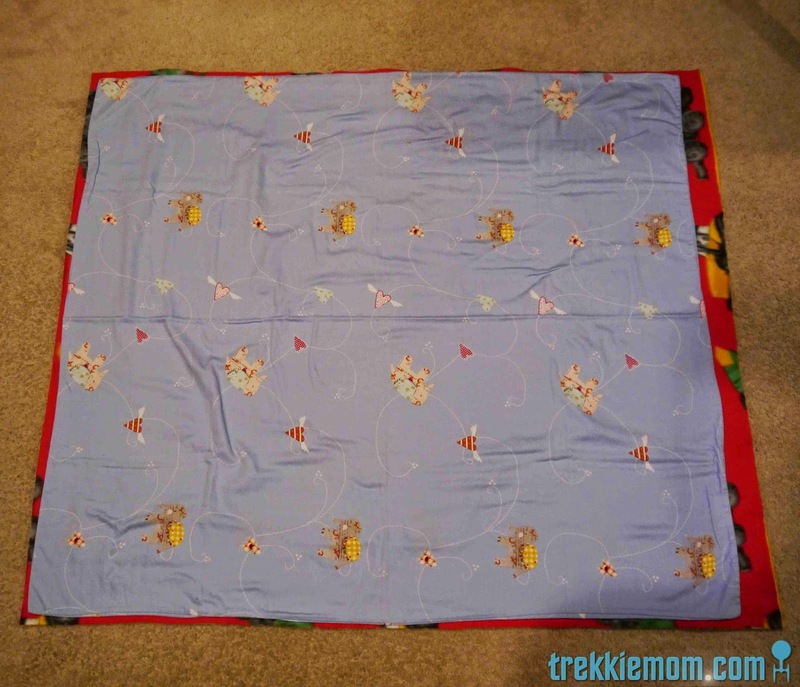 Because I had an IKEA Toddler Duvet cover already, I laid out both pieces of fabric on the floor and laid the existing duvet cover on top. 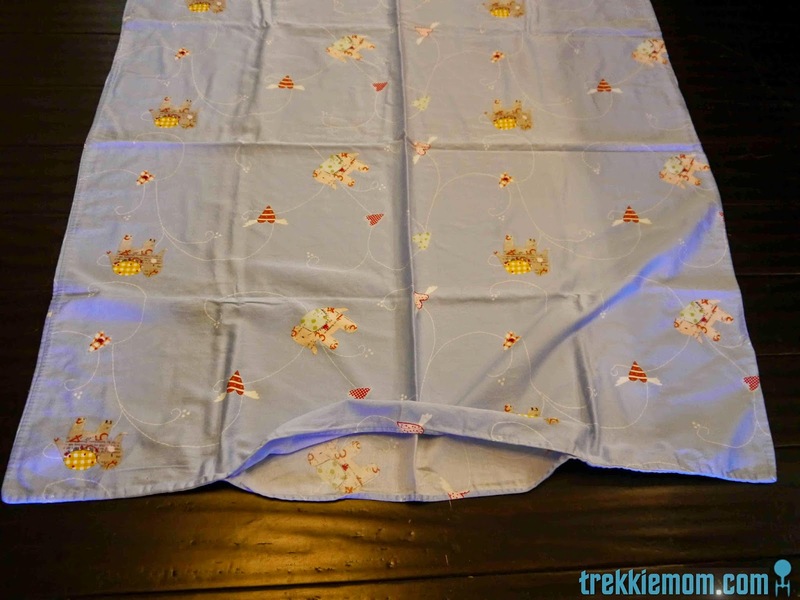 I cut a half inch seam allowance around 3 sides but added 2" to the bottom where the duvet closure will be. 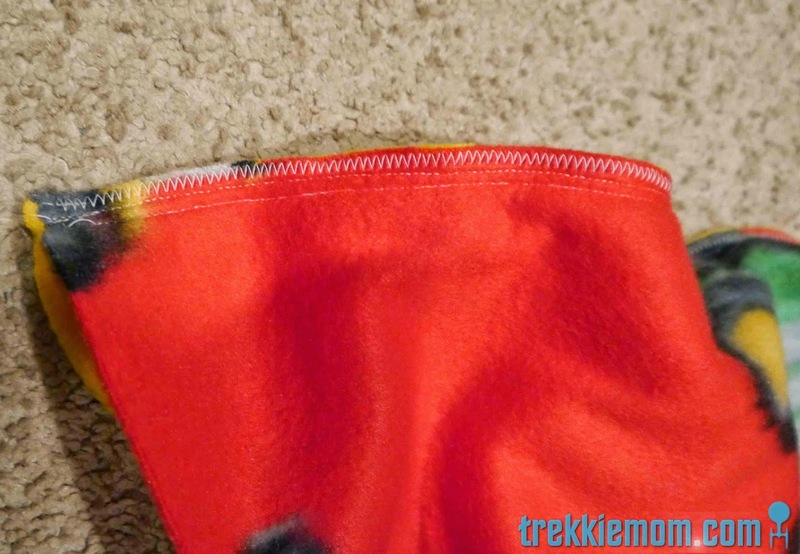 Since the fleece is such a stretchy material, I added another straight stitch seam to add strength. It is likely unnecessary, but hey, I like to be safe rather than sorry when it comes to my roughhousing boys. 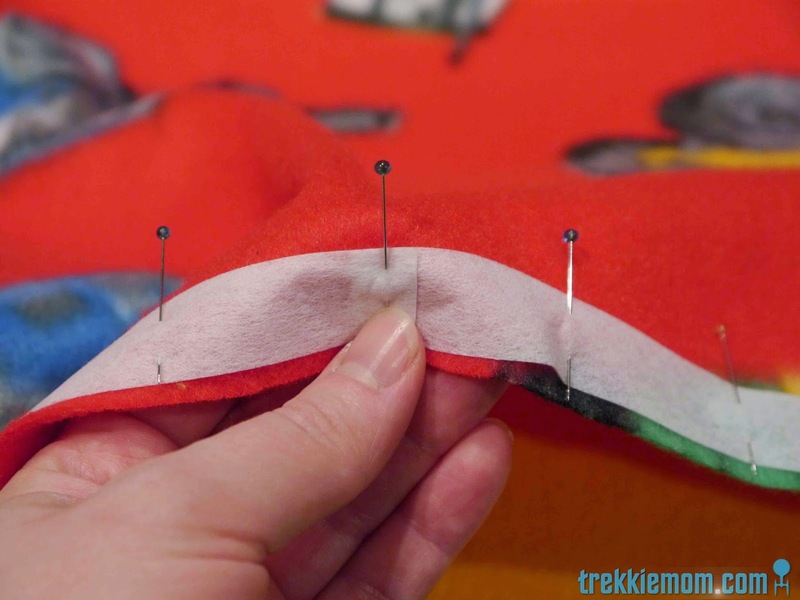 Cut several 1 inch strips of interfacing to line the bottom opening to provide a sturdy anchor for your closures. 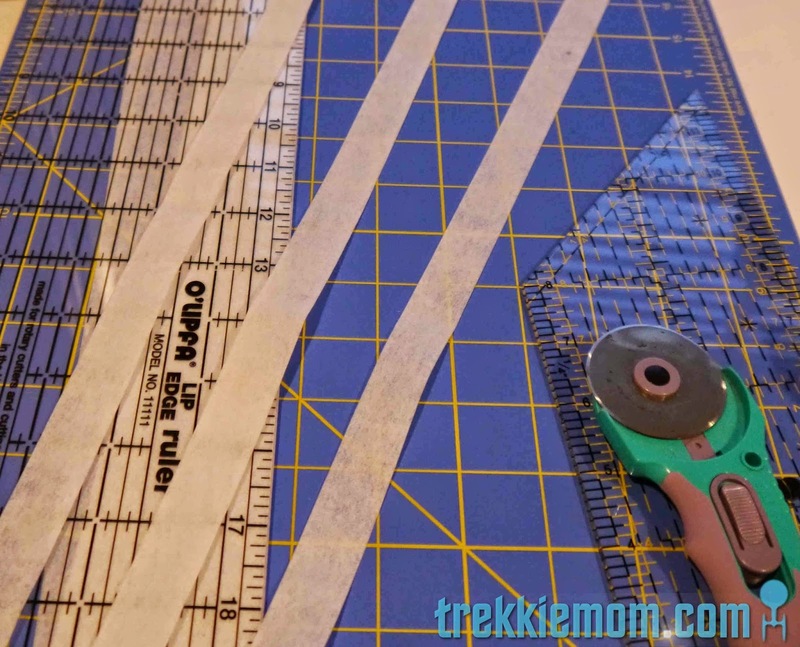 I used Kam snaps and needed approximately 3 1 inch strips of interfacing. 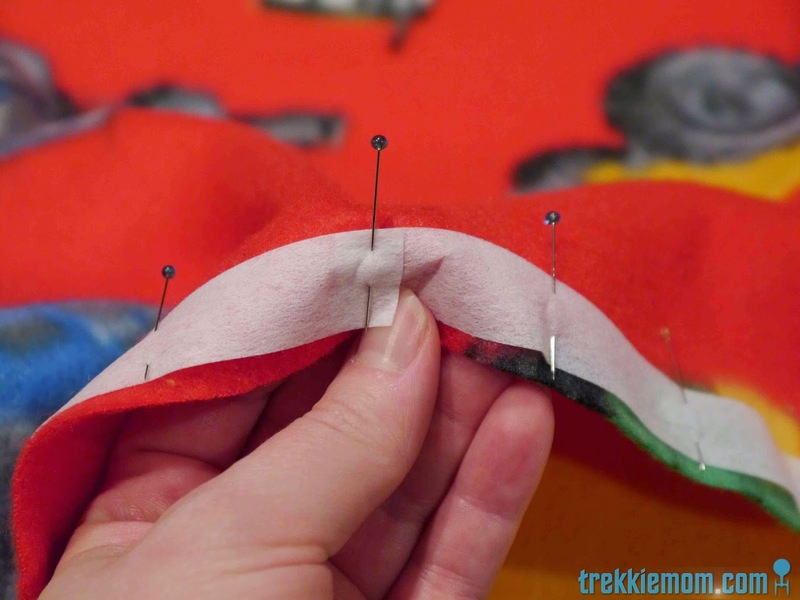 I started by pinning the interfacing to the bottom (the open part), wrong side of the fabric of my duvet. 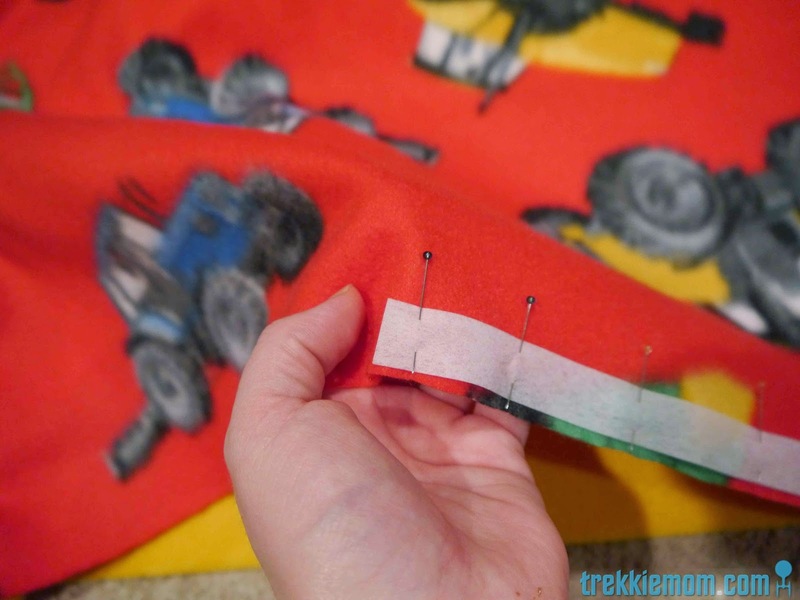 Each piece of interfacing was overlapped a bit to create a continuous piece. 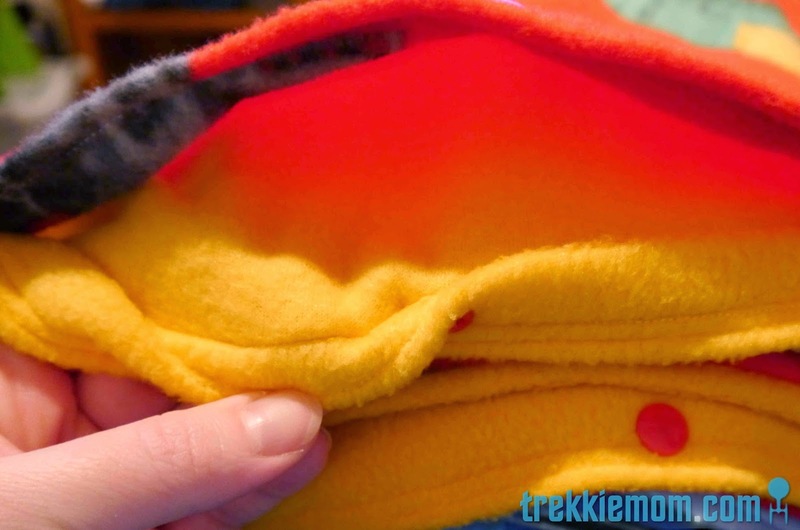 When the one inch interfacing lines the entire bottom opening, sew it into place. 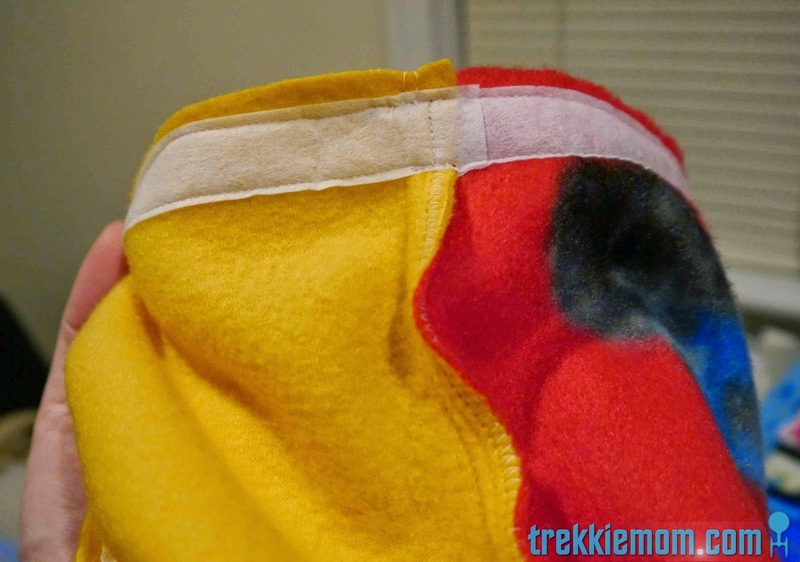 I sewed a straight stitch at the top and the bottom of my interfacing. Finally, I attached my KAM snaps approximately 5-6 inches apart. Do what feels right for you. I owe a big thanks to my son's teddy bear for lying so still and modeling my creation. 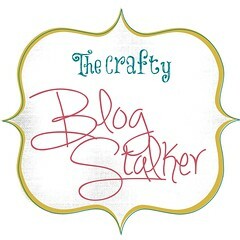 It works quite well with the Pottery Barn tractor pillowcase. 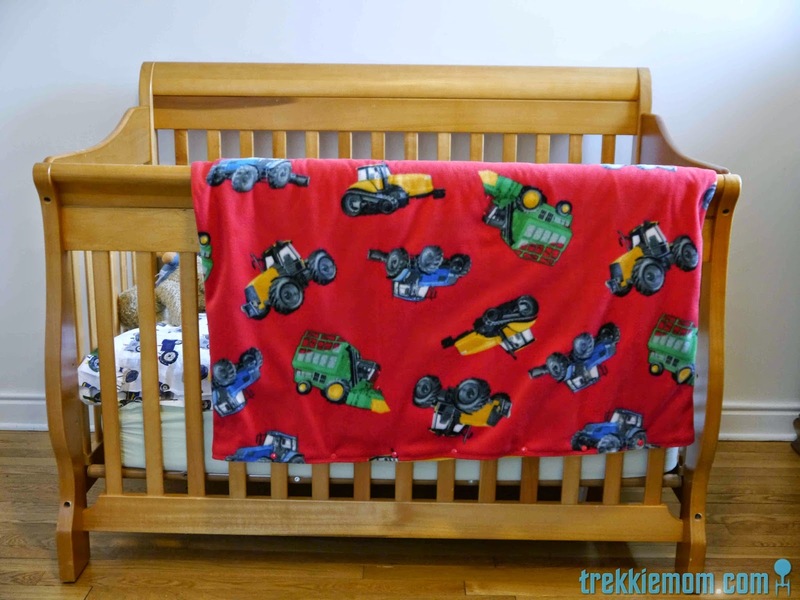 Either way, it makes my little man super happy to go to bed with tractors. Thanks, Emily! It's exciting getting featured, I let everyone on facebook know. 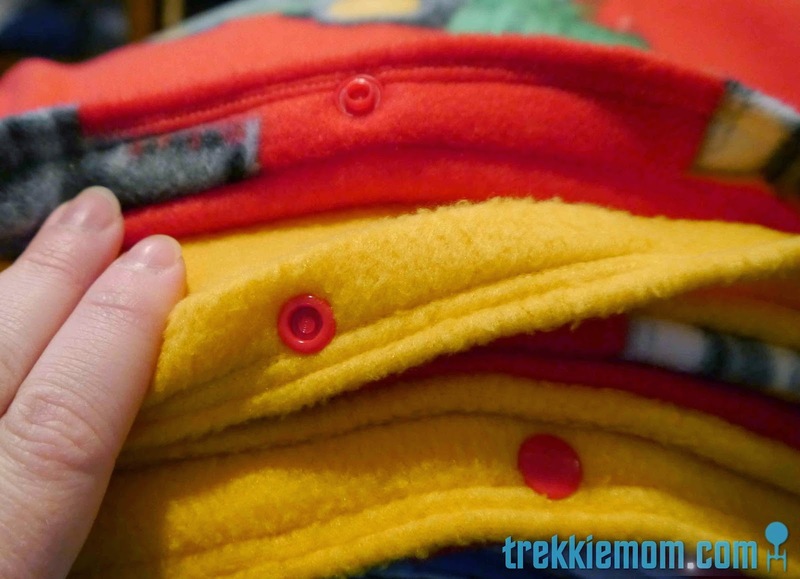 :) I love making things to fit my kids interest, too. It is cheaper than trying to buy it to fit and usually better too. 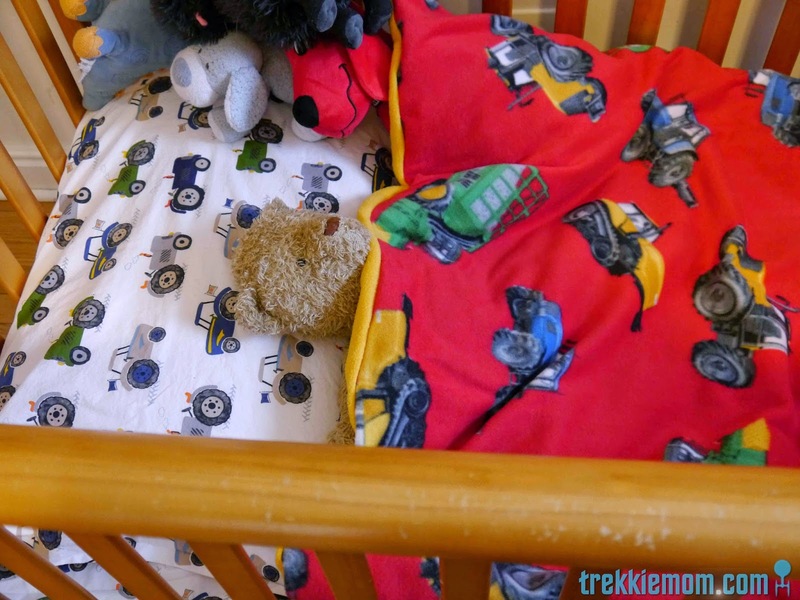 This is really nice.. a proper boy duvet. My son would love it.